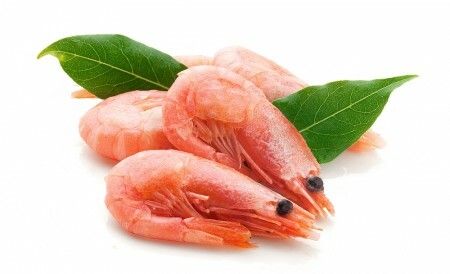 Pacific Pink Shrimp (Pandalus Jordani) is well known for its sweet, delicate flavor. Along with its Atlantic Ocean counterpart Northern Shrimp (Pandalus Borealis), Pacific Pink Shrimp make up the vast majority of shrimp harvested in Canada. The pandalus shrimp are widely known to be more flavorful than their warm-water cousins, and particularly more flavorful than farmed shrimp. Smaller than the Borealis shrimp (averaging 250-400 ct/lb compared to the latter 100-250 ct/lb), Pink shrimp generally live between 1 to 4 years and are commercially viable after 1 year. Because they grow in deep ocean water, they do not ingest mud and silt. Therefore, they do not have the sandy or muddy veins that affect warm water farmed varieties. We offer a full complement of breading solutions for fish and shrimp that include authentic Japanese fresh panko crumb, traditional coatings as well as healthy alternatives such as nut, grains and whole wheat. 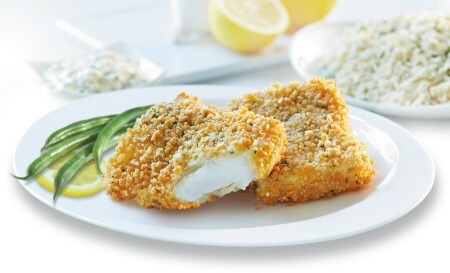 Our products are offered fully or lightly breaded, crusted, pre-fried or ready to fry. Gluten free options are also available. Our development team partners closely with our customers to ensure that we satisfy regional tastes and preferences authentically and cost effectively. Our tempura battered products range from traditional fritter style tempura batters to more authentic Japanese coatings with “hanasaki” or “blooming flower” textures for crispness. 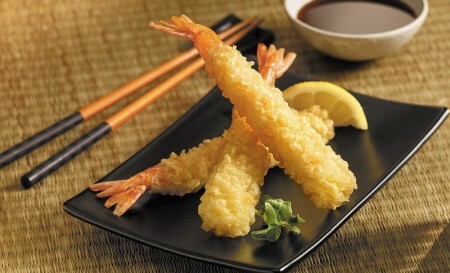 Our tempura batters do not contain MSG and our products range from batter coated fish to tempura shrimp. Specialty battered products include beer battered fish and shrimp, as well as specially formulated batter mixes that can accept sauces and glazes – used with great success with our Asian themed teriyaki, orange, and siracha shrimp. We offer a full range of seafood burgers and cakes. Items include our gluten free wild pacific salmon burgers, mahi mahi burgers, tilapia, and more. We offer slider sizes, burgers, as well as bite sized appetizers that are also available skewered and or breaded. 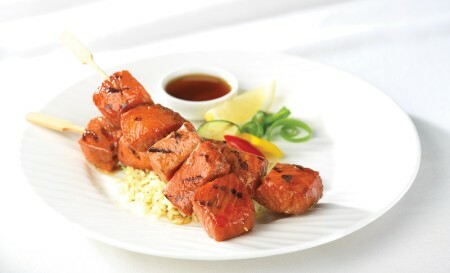 Our skewered products range from full sized, dinner portions, such as our Maple Glazed Wild Sockeye Salmon Skewers to appetizer sized skewers such as our popular shrimp pops. 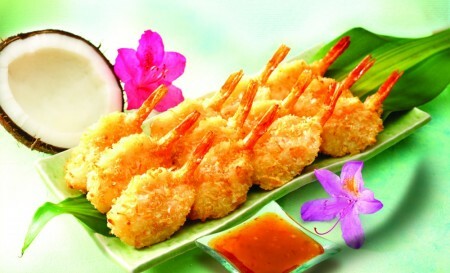 As with all our breaded products, these appetizer skewers are available in both pre-fried, and ready-to-fry version. As seafood coatings or as accompaniments to our wide variety of appetizers we offer a full complement of sauces representing the best the world has to offer. Asian favourites include Teriyaki, Indian and Thai curries, Chinese Black Bean and General Tsao’s. Continental favorites include garlic butter, parmesan, creams, pesto, and marinara’s. We use only the best ingredients and avoid the use of preservatives or artificial flavours in our gourmet sauces. At Pacific Salmon Industries, we understand there are many customers who are watching their gluten consumption – either by choice or by necessity. We look closely at the recipes of our value added products with that in mind. 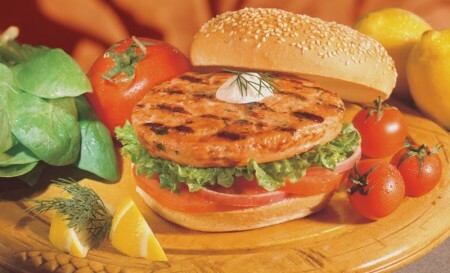 Our Gourmet Wild salmon burger is a perfect example. It contains no wheat or gluten fillers and is a delicious gluten free option. If it doesn’t need it, it won’t be in the recipe. We want as many of our customers as possible to enjoy our products without worry or concern. Sometimes, a little more work is involved. Our delicious Gluten Free Parmesan Breaded Cod is an example of our dedication to providing gluten free options to traditional gluten-containing recipes.